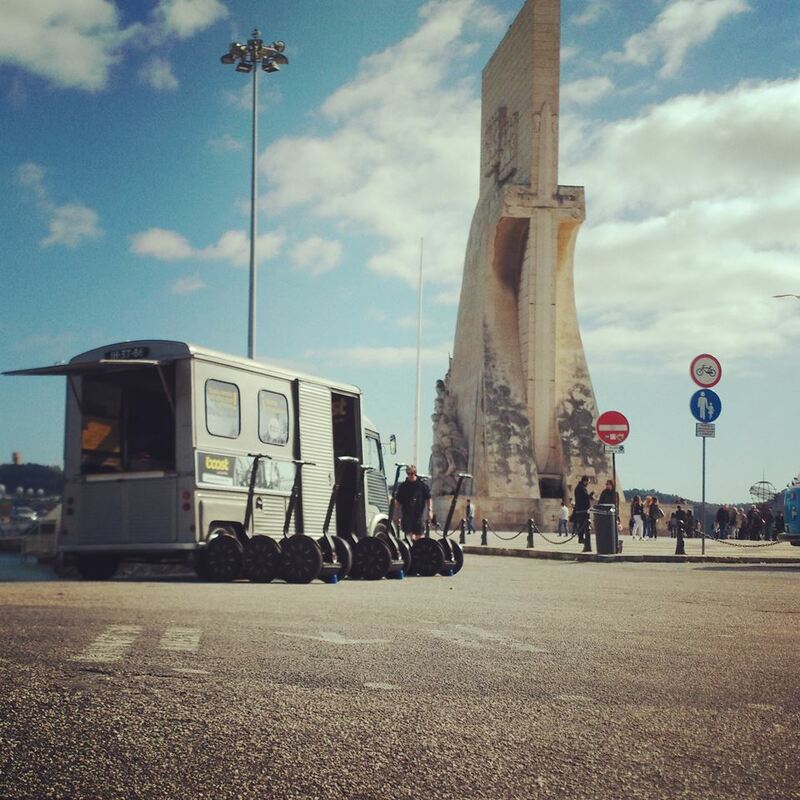 Follow the river Tagus and enjoy one of the most beautiful views of Lisbon! Belém is one of the most iconic areas to visit in the city. The sun and the river breeze will accompany you on your own rhythm, comfortably gliding on this futuristic two wheels vehicle. 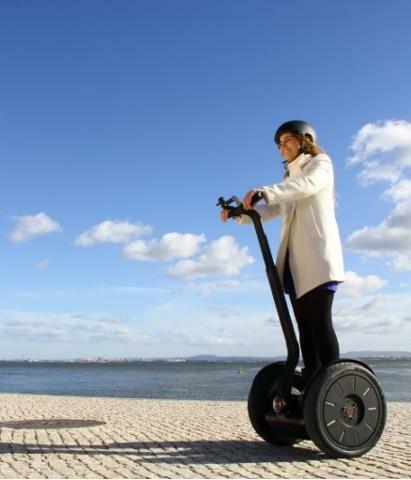 Segways allow you to visit several landmarks without feeling exhausted! On this rental you can visit several landmarks and learn some of its historical facts! Belém is a synonym for the great age of Portuguese Discovery. The beginning of Portugal's pioneering role in world exploration may be traced back to as far as 1279, when King Diniz set out to improve Portugal's emerging navy. The biggest Portuguese achievement, during the age of discovery, was when the explorer Vasco da Gama, discovered the sea way to India, on the 14th of May of 1498. Can you guess where he and other 167 men departed from? Yes, you are right, from Belém! Padrão dos Descobrimentos: “Monument of Discoveries”, was first erected in 1940, in a temporary form, as part of the Portuguese World Exhibition. Built with perishable materials, it had a light iron and cement frame, while the moulded sculpture was made of gypsum (formed of plaster and burlap, and reinforced by a wooden and iron structure). The monument was reconstructed in 1960 to mark 500 years since the death of the Infante Dom Henrique (Henry the Navigator). This time it was made of concrete and rose-tinted Leiria stone masonry, with the sculptures made of Sintra limestone masonry. Mosteiro dos Jerónimos: Fundamental work of Manueline architecture, Jerónimos Monastery was commissioned by King Manuel I. shortly after Vasco da Gama returned from his trip to India. The work began in 1502 with several architects and builders, among them Diogo Boitaca and João de Castilho. Torre de Belém: One of the largest ex-libris of Portugal. It was built during the golden Portuguese age, in the 16th century, with its unique Manueline architecture. Its main goal was to protect the city from invaders, so they originally chose to construct it on an island in the middle of the river. Museu do Combatente: “Monument to the fighters”, whose main purpose is the expression of the Portuguese military achievements, and is a centre for the dissemination of the Portuguese history, which shows three periods of the twentieth century: World War I, the Overseas Campaigns and Missions of Peace.